NEWLY RELEASED audio version of Friday's Laws, read by the author, with bonus content. Available through iTunes for iOS or Mac or Audible for all devices. 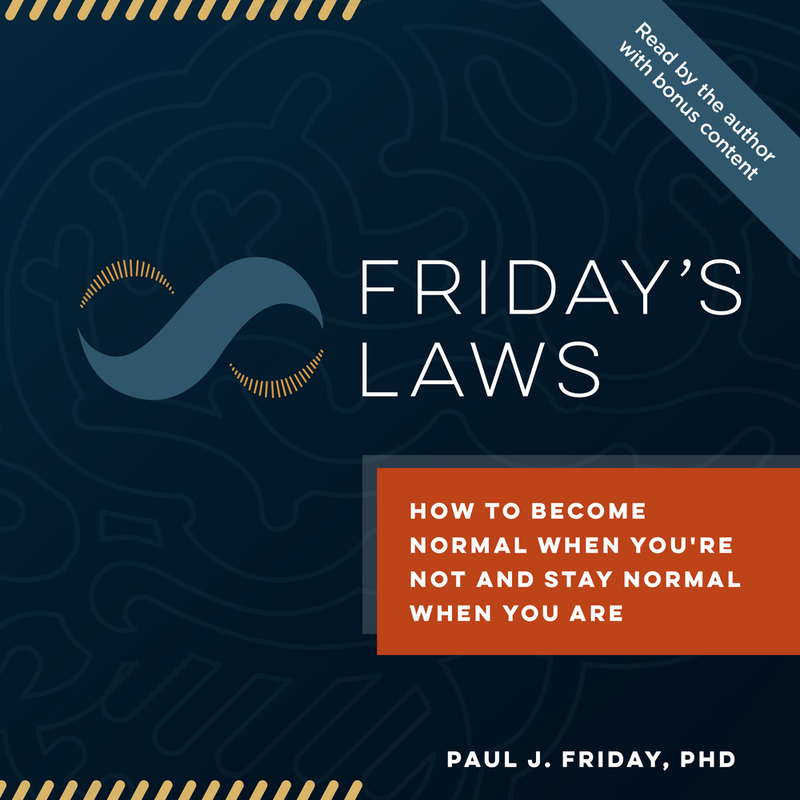 Your guide to becoming normal when you're not staying normal when you are — by balancing your brain and understanding Friday's 8 Laws of Effective Thinking. Available on iBooks for iOS and Mac or Kindle app for all devices. Keep Friday's Laws close at hand for quick reference. Available in stacks of 10. Display Friday's Laws in vivid color, printed directly on glass. Includes stand. Will be printed on demand and sent to you directly from the manufacturer, Fracture.